I am not making it a secret that I need to continue to improve my photographic skills. I look at my portfolio and at best I would give it a C+, and it only gets the plus because I am teacher’s pet. I look at the websites of photographers who charge $4,000-$10,000 minimum to shoot a wedding and see the photographs and go “wow!” I wonder if I will live long enough to get that good. I sit and think seriously about giving this up, selling my equipment and checking out that Wal-Mart greeter gig. One of the first lessons I taught my students was the difference between taking a picture and taking a photograph. I used the clever, in my opinion, analogy of a blind monkey coming in the room and if that monkey found a camera and pushed the shutter release button, the blind monkey will have taken a picture. Then I spent the rest of the year trying to get them to take photographs. This leads me to my personal blind monkey moment. I had been shooting some self portraits and had the camera timer set to 10 seconds. A couple of days later, I went on a photowalk attempting to shoot some deep and shallow depth of field photos. Got my settings, composition, and lighting I wanted and pushed the shutter release and….nothing. So I start looking the camera over and then I hear the click of the shutter. Yes, you figured it out. I had forgotten to change the 10 second delay. So I looked at my screen to see what I had actually shot. 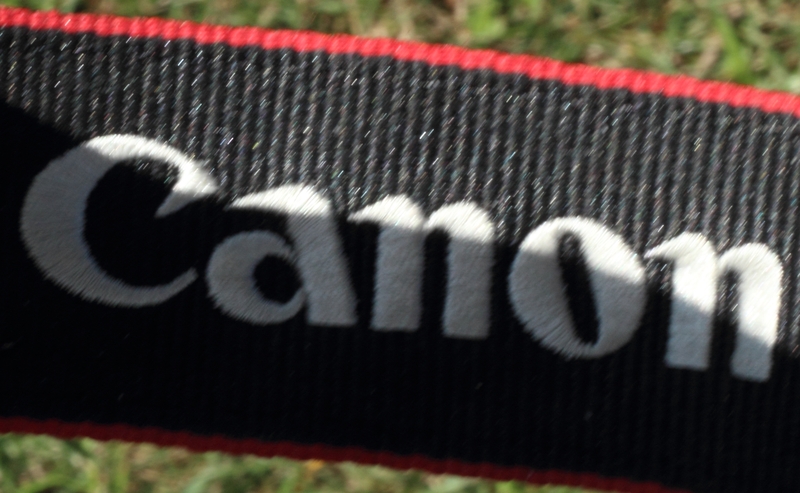 The blind monkey in be had shot a picture of my Canon camera strap. According to the statistics Facebook puts together, that picture has had 200 views. The next highest photograph on that site has had 50 views. About 10 people have read this blog and less than that have looked at my website. So I think about the hours I have spent taking pictures, editing pictures, tying to elevate my results to the place I want them to be, choosing the best ones to post on my sites. And it all comes down to the most viewed picture being the one the blind monkey took. The sound you hear is me dusting off the Wal-Mart application. Just in case.